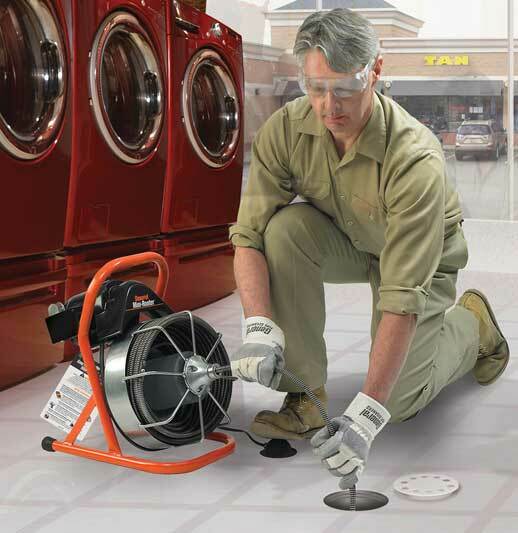 The Mini-Rooter clears lines from rooftop to basement, including kitchen, bath and laundry. With 50 ft. of 1/2″ cable, it weighs just 60 lbs. This inexpensive, easy-to-use machine has lots of time saving features. 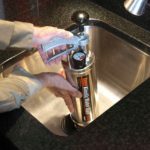 For instance, you can remove the cage in seconds for more portability or to switch to a different cable diameter – with no mess or lost time. 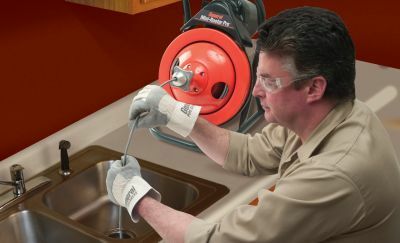 Safety features include an air foot switch, ground fault circuit interrupter, and a safety slip clutch. 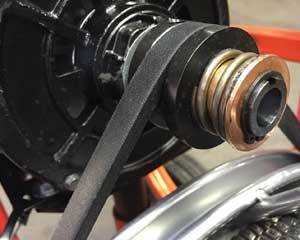 An integral inner drum and distributor tube spring help prevent cable tangling under load. Open cage removes in seconds for more portability. 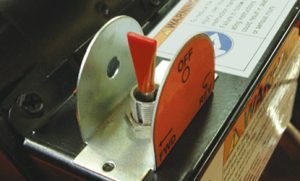 Safety slip clutch protects cable and operator. Optional Power Cable Feed drives and retrieves cable. 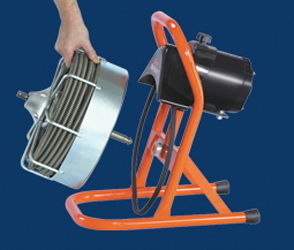 Optional J-Drum holds 50 ft. of 1/4″ or 5/16″ cables. 1/3 hp motor with momentary contact reverse switch and pneumatic foot pedal. Optional dolly snaps on frame. 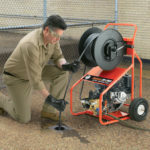 You can take the drum off the Mini-Rooter in seconds. 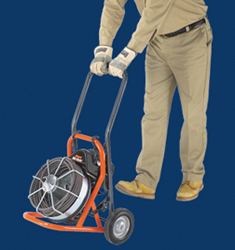 This light weight but sturdy dolly is designed especially for the Mini-Rooter. It slips on or off in less than minute and holds the machine securely. Les caractères GRAS indiquent les appareils qui se vendent plus. 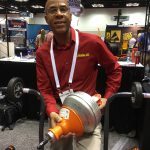 75 ft. of 3/8″ or 1/2″ Flexicore Cable. 1/3 hp heavy duty, thermal overload protection, Forward/Off/Momentary Contact Reverse Switch. Heavy gauge wire coiled tightly around 49 strand aircraft-type wire rope and heat treated. Uses air pressure, so there’s no electrical contact between pedal and motor. Arrow head, 1 1/2″ U-Cutter, 2″ Side Cutters and Boring Gimlet. Others available. With reinforced palm for hand protection. Consultez notre guide de sélection d’outils ou dialoguez avec un Drain Brain ! Nous pouvons vous aider en répondant à toute question que vous pourriez avoir à propos de nos produits. © 2019 General, des astuces et bien plus encore ! General Wire Spring Co. Tous droits réservés.